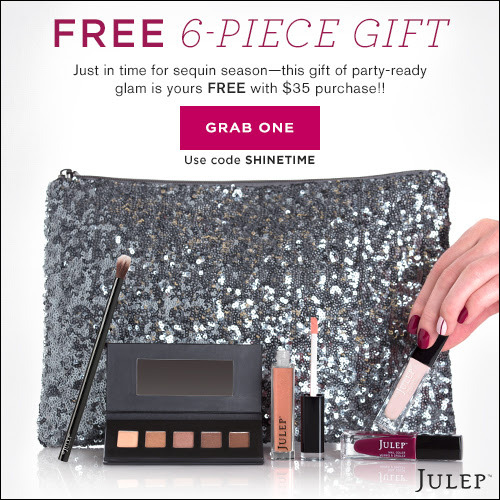 $120 Holiday Glam Gift is FREE from Julep with Purchase of $35 or more! The Holiday Glam Set is valued at $120 but is FREE with purchases of $35 or more. Whether it is for gift giving or a little self-indulgent treat, these won’t last long! This entry was posted in Online Deals and tagged Free, Holiday Gifts, Julep, Online Deals on November 5, 2014 by Kayla Nizi.